, Stephen Markley wrote, “The problem with driving around Iceland is that you’re basically confronted by a new soul-enriching, breath-taking, life-affirming natural sight every five... minutes. It’s totally exhausting.” We've never been ones to take someone else's word for it when it comes to sightseeing, so we took Street View to some of the most stunning locations throughout the country. 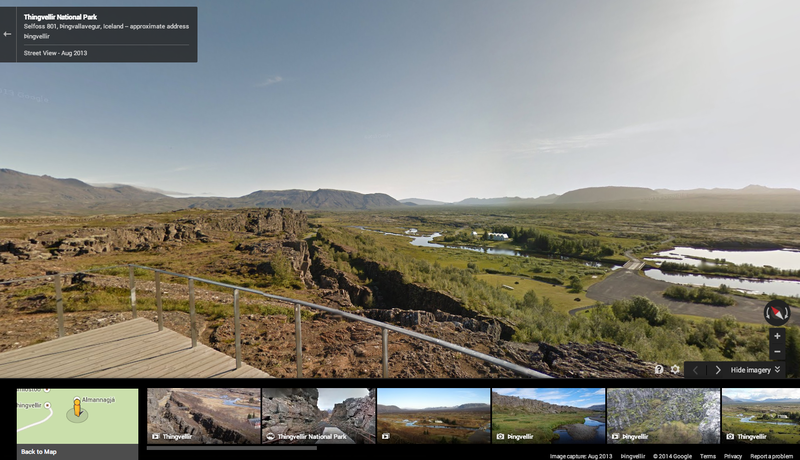 As it turns out, Markley was right...and now with Street View, you can take a journey through Iceland to explore these beautiful places too. We started with Iceland's "Golden Circle," a famous loop in the southern part of the country. 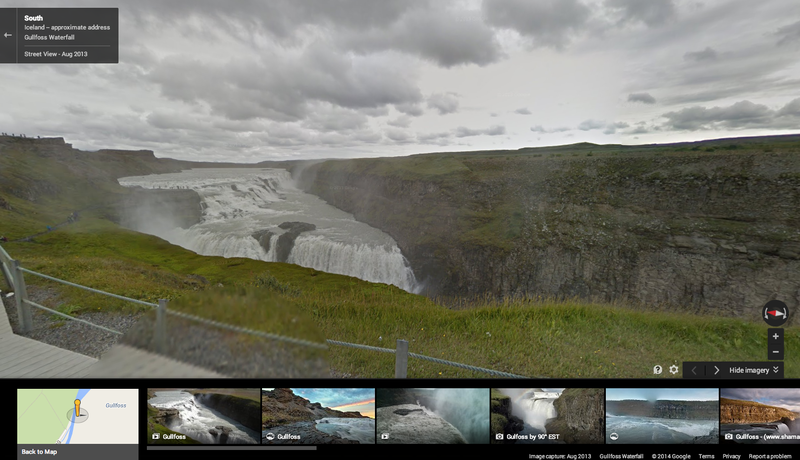 Here’s a look at the famous Gullfoss Waterfall on the Hvítá river in the south west of the country. The average amount of water crashing over the falls can reach as much as 140 cubic meters/second at its summertime peak. Then, we made the trek to what’s known locally as “Geysir,” or the Haukadalur Geothermal Area. 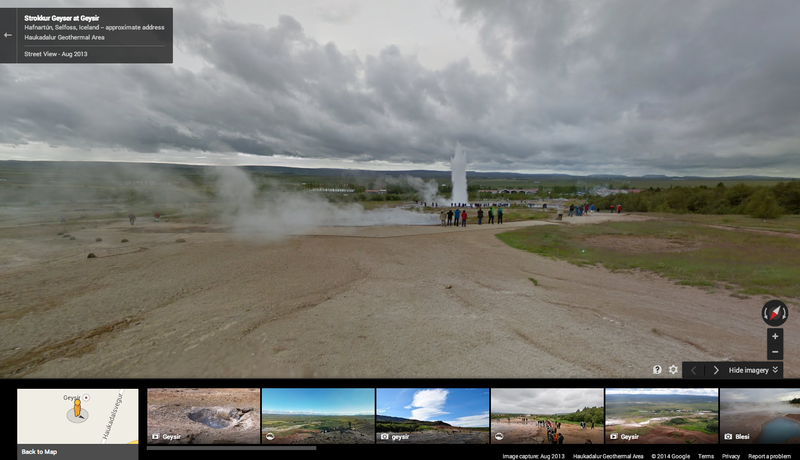 Our cameras snapped footage of Strokkur, which routinely erupts every five to 10 minutes, and the bigger Geysir, which is largely dormant now but used to erupt several times a day. Interestingly, this is the geyser that lent its name to the phenomenon in many languages. We’ve also captured beautiful heritage sites including Vatnajökulsþjóðgarður, a national park, and the UNESCO site Þingvellir, a place of great historical, cultural and geological importance. Iceland's Parliament, Alþingi, was established on this site in the year 930, and in 1930 the national park was established to protect the remains. And the wonders don’t stop there. Gaze at Dettifoss, a waterfall situated in the Vatnajökull National Park and said to be the most powerful waterfall in Europe, or explore Kerið, the perfect volcanic crater lake. So start your virtual exploration now—and it's OK if, like Markley, exhaustion sets in and you need to take a nap in the middle. We—and Iceland's astonishing natural beauty—will be waiting. In his book Tales of Iceland, Stephen Markley wrote, “The problem with driving around Iceland is that you’re basically confronted by a new soul-enriching, breath-taking, life-affirming natural sight every five... minutes. 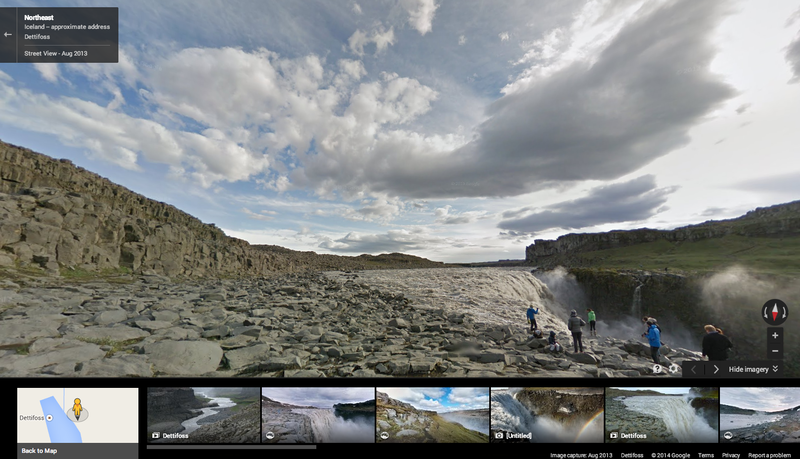 It’s totally exhausting.” We've never been ones to take someone else's word for it when it comes to sightseeing, so we took Street View to some of the most stunning locations throughout the country. 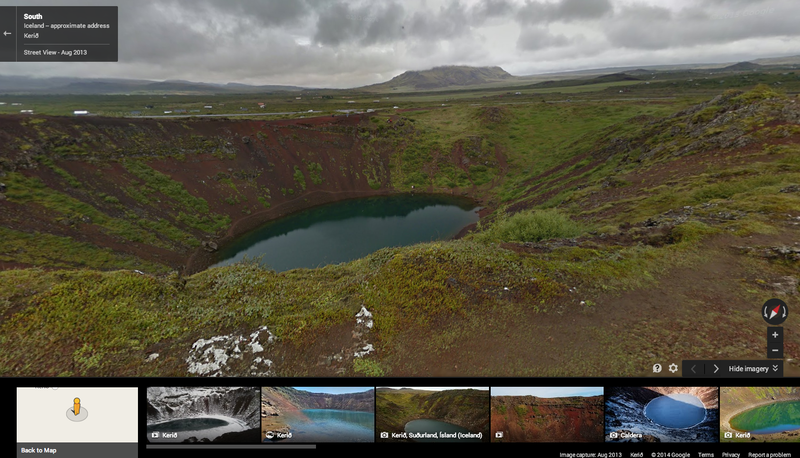 As it turns out, Markley was right...and now with Street View, you can take a journey through Iceland to explore these beautiful places too.